While the spine is normally straight in the vertical line of the body, scoliosis occurs when there is a lateral curvature or a curve towards the side in the normally straight vertical line of the spine. Scoliosis is diagnosed when this curve is 15° or more. 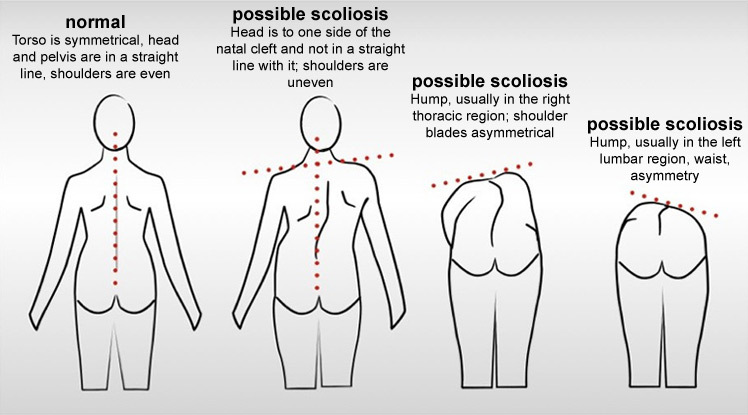 Idiopathic scoliosis, which is a scoliosis with an unknown cause, is the most frequently seen type of scoliosis. The most widely affected by this type of scoliosis are adolescents between the ages of 10 and 17. It is critical to detect scoliosis in the early stages to try and slow down any progression. There are also a number of treatment methods, of which exercise is one. Our exercise prescription is scientifically-based and addresses scoliosis in the sagittal, frontal and transverse planes. This ensures that the rotational component of scoliosis is also dealt with. The exercise prescription is based on the Schroth and SEAS techniques. The Schroth exercise principles include axial elongation and rotational breathing. The goals of this very specific type of exercise include promoting corrections and stabilisation of the curve(s). The primary goal of the SEAS technique is an improvement in the stability of the spine during active self-correction. This form of treatment is most beneficial (for curves less than 40°) when used in conjunction with RSC bracing.